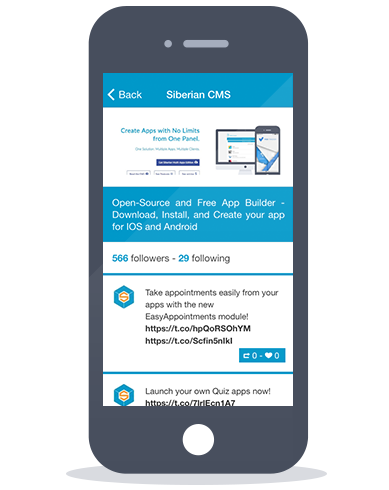 Check out the features available for your APP. If you don’t see the features you’re looking for, contact us. AUDIO Add a music player to entertain your app users! Create playlists from iTunes, Podcasts or your own files, and let the music play. Users can share and buy tracks from the store. Of course music can be played in background while the users keep browsing the app or lock their phone screen. 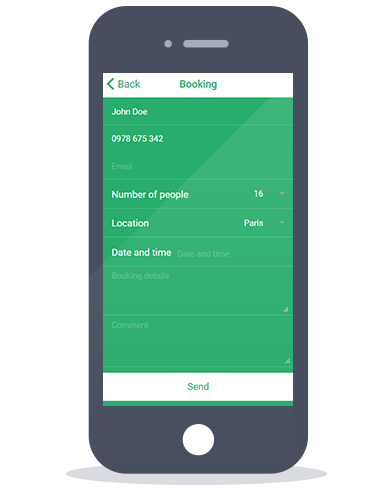 BOOKING Allow users to book a seat, a slot, a table or anything you want, with an easy and multi-stores plug-in. The form is sent to the right store following the user’s validation. 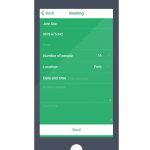 CALENDAR What if your users can be informed about your next events? Showcase your events from your Facebook page, or Google Calendar. You can also create your own custom events. 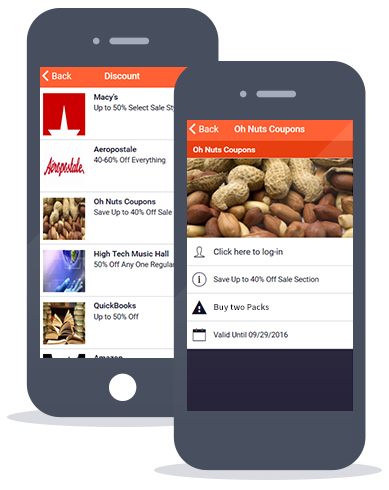 CATALOG All your products and prices at users’ fingertips. 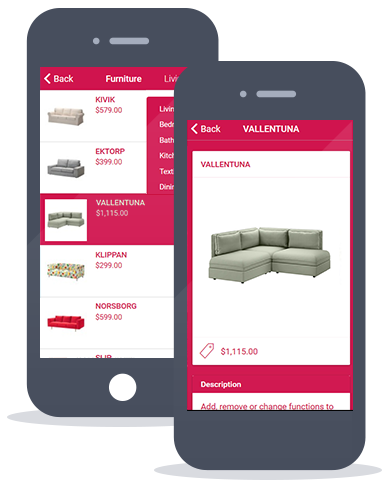 Display your list of products in a beautiful listing available in the palm of your users’ hand. 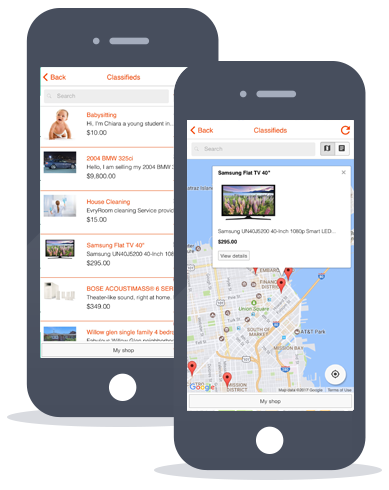 CLASSIFIEDS Launch your own Craigslist-like app. With this feature, you can now add a local Classified Ads marketplace for your users to offer products and services through your app. Set up your marketplace and let the users publish classified ads as they would have done on Craigslist. COMMERCE The complete feature to sell online, from a single store to a chain of stores. Image galleries, product and price formats, options, checkbox, notes, payment gateways…everything you need for selling your products is in your hands. CONTACT The page to gather all your contact info. Allow one-touch-call, geolocation, links to social pages, and much more. CONTEST Host your own contest for one week or one month at a time. 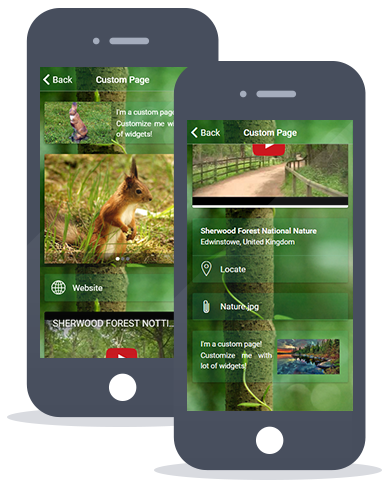 CUSTOM PAGE Want to create great pages with rich content? Now you can! 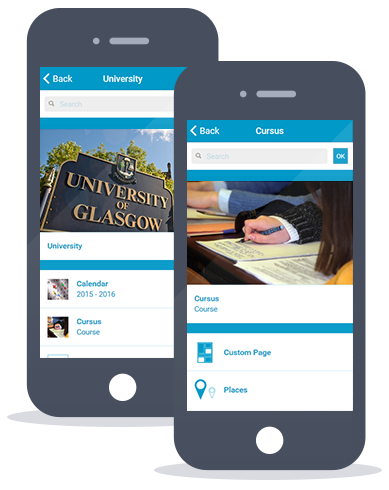 Create a page with all the content you need: text, photo galleries, videos, address, sliders, click-to-call and email buttons, weblinks. 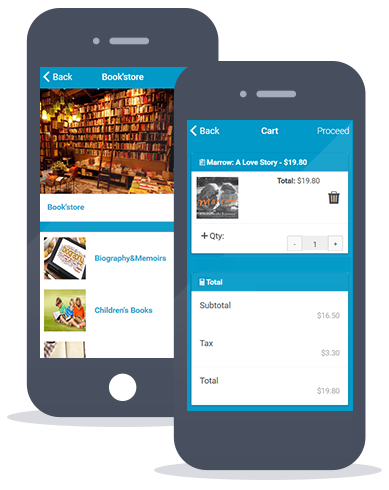 Order all your sections the way you want to create beautiful pages. DISCOUNT Get the store sales rolling with simple, high-performance discounts. Collect users data when your coupons are redeemed. Configure them to be used only once and/or available until a specific date. 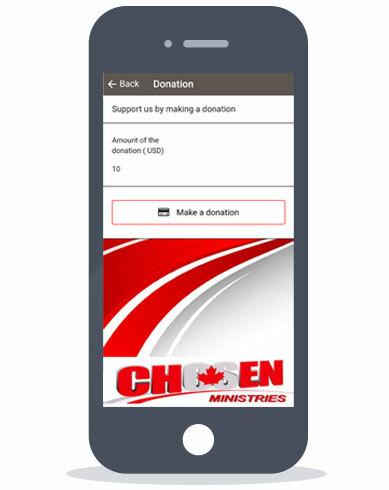 Set this feature up to accept donations, online giving, registration payments or any other form of giving. Gateway payments include PayPal, Stripe, and 2checkout. FACEBOOK Make your application and social network pages communicate with each other. Get your content shared through social networks and provide you additional free traffic and downloads. 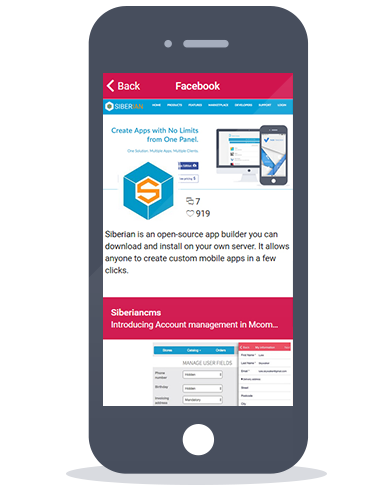 Embed your social network pages in your app to gather all your information in one entry point. 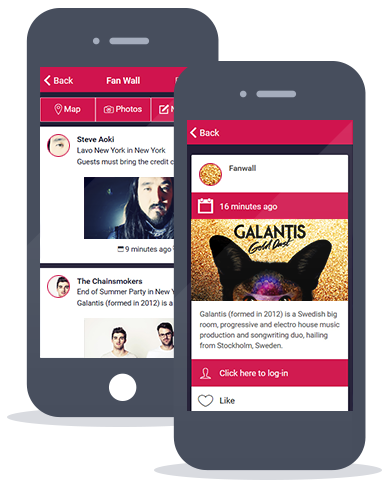 FANWALL Animate your community with a social network within your app! Users can send posts and photos, geolocate other users’ photos and comment on their posts. You can lean back and see your user engagement growing on its own! FOLDER The feature to organize your content. With Folder, you can create your own app tree, with folders, subfolders, sub-subfolders and your pages in them. You can even add a search box to help your users to find the content they’re looking for. 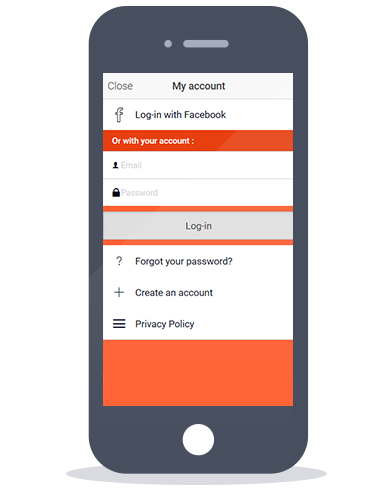 FORM Want to get some specific data from your users? 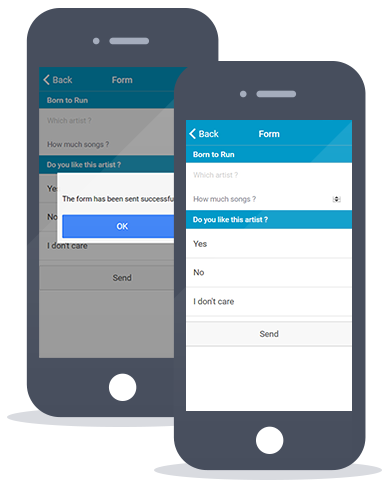 Build your own forms to get leads, feedbacks and many other things you can get from a form. 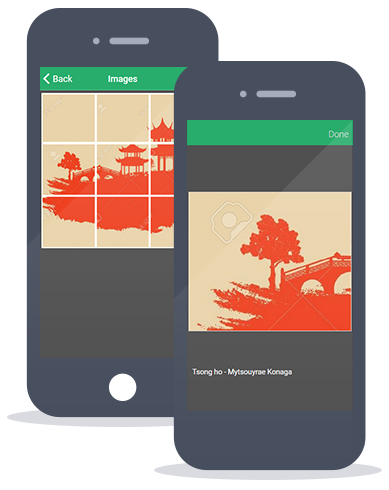 IMAGES / GALLERY Highlight your app with attractive photo galleries. Create categories, import photos from your computer, Picasa or Instagram! INBOX Need to send private messages with rich content and attachments to specific users? Choose the user(s) you want to inform and they will get your private message with videos, text, images and attachments right in their Inbox feature. And, of course, they can answer you. JOB This is your feature for providing a recruitment tool from which you can post your job availability. Each member you set as a company admin will be able to publish the available open positions. Candidates can apply directly from the app. 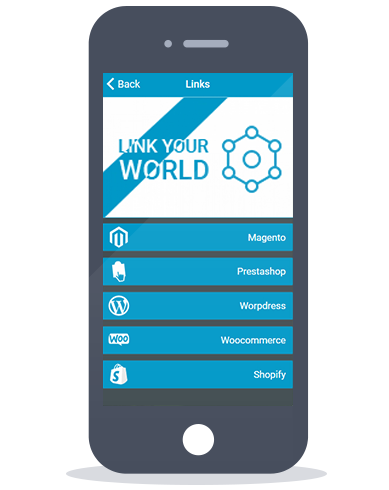 LINKS Integrate any external webpage to your app. 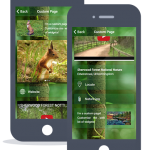 Want to integrate your mobile website or an external booking system? Just paste your link(s) to get them available through your app. 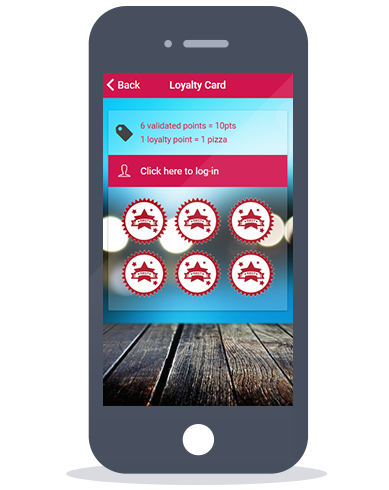 LOYALTY CARD Create your very own loyalty program. 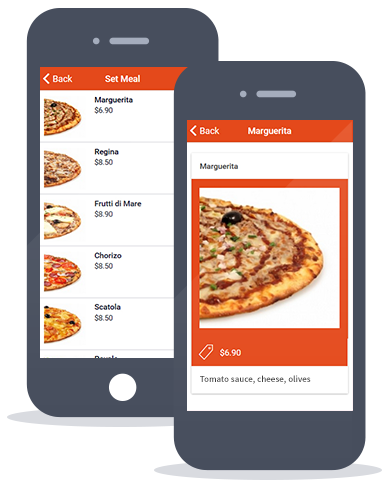 In one app, you can add as many loyalty cards as needed, that allows you to get a merchant listing, for example, with each merchant having their own program. The user can get his points redeemed by password or QR code. It’s up to you. 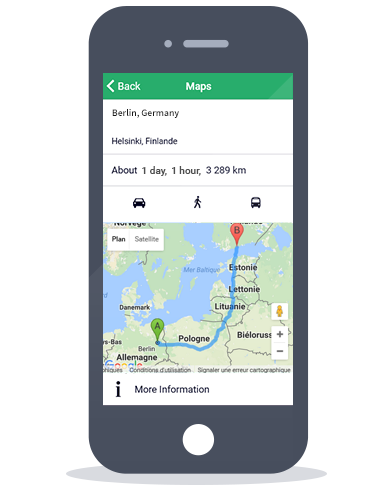 MAPS Let your users find their path from anywhere in the world to the location you want. A feature which will guide them through the GPS of their phone. It geolocates and offers the appropriate path though Google Maps. MAGENTO Magento empowers thousands of retailers and brands with the best eCommerce platform and flexible cloud solutions to rapidly innovate and grow. 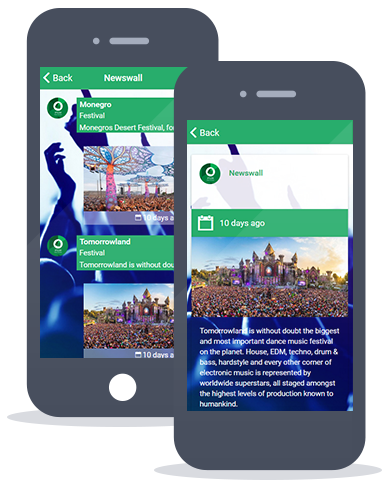 NEWSWALL Want to send your news in an attractive way? Just use the News Wall feature to send your information, photos, etc and get your users engage with you by commenting and liking. Get useful feedback, improve your communication, collect the benefits of better user engagement. PADLOCK If you need to lock your app wholly or partially this is the feature you need. Choose the pages you want to protect and how they have to be protected, and regular users will not be able to access the locked content. If you select a protection through membership, the accounts you have authorized will be able to access the locked pages. If you choose a QR Code protection, only users who have the QR Code will have access to your protected sections. PLACES If you need to create a directory of businesses, this feature is for you! 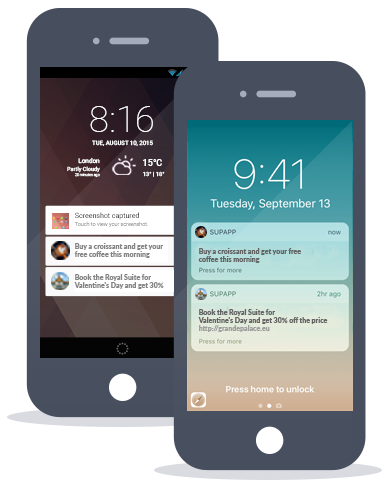 PUSH NOTIFICATIONS Contact your users whenever you want and whenever the need arises. It’s unlimited. Schedule your notifications to be sent on specific dates and times. 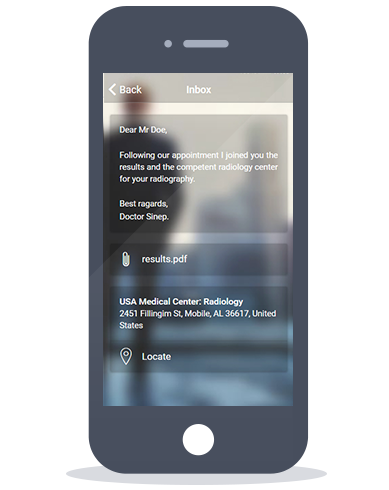 Send a geofenced notification to your clients based on their location. 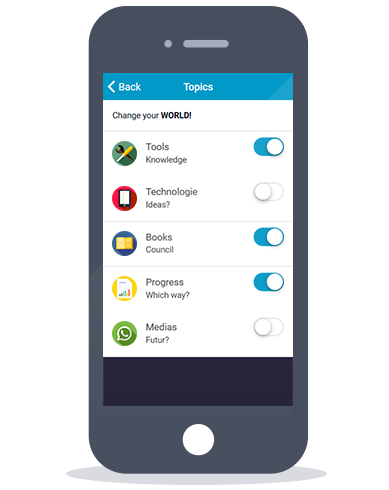 Thanks to the Topic feature and the Individual push notification, you can communicate to groups of interested people and to a specific user. 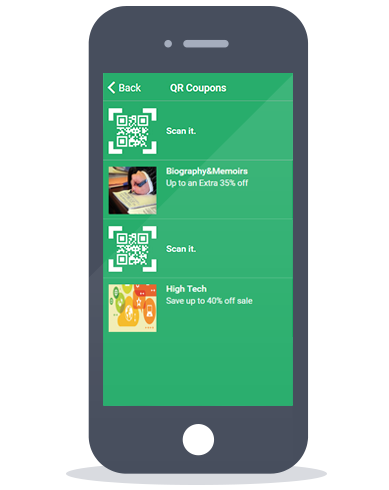 QR COUPONS Distribute your own QR Codes to your users. They flash the code and they unlock the rewards in your application. 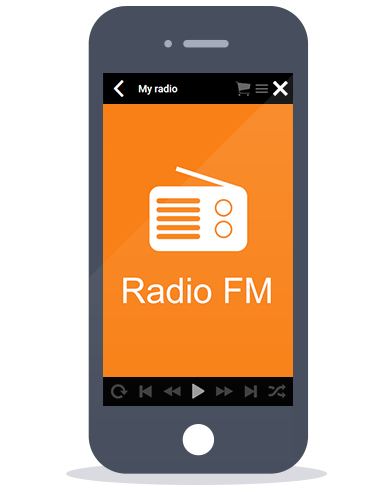 RADIO Create a Radio app or just let your users listen to their favorite radios, it’s up to you. And just like for the Audio feature users can keep browsing the app or even lock their phone and listen to the radio in background! 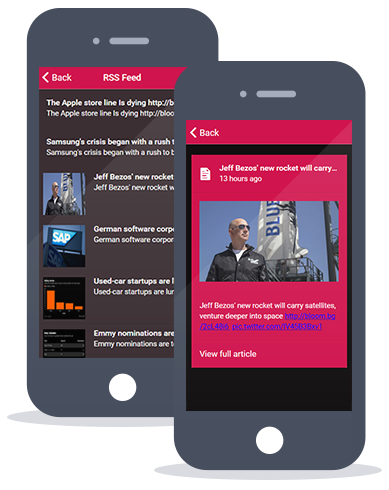 RSS FEED A blog or news feeds that you’d like to feature? Feeds can become part of your application. 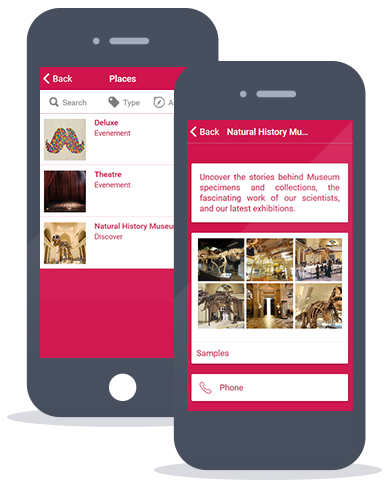 Entertain your users with info directly within your app, and drive traffic to your website. You can add as many RSS feeds from as many sources needed. SET MEAL A nice and appealing way to display your menus. Create cards with photos, prices and descriptions. SHOPIFY We’re not just an eCommerce software, Shopify is the best ecommerce platform that has everything you need to sell online, on social media, or in person. SMART ADS SmartAds is an innovative approach to advertising that allows you to be paid for advertisements appearing on your phone’s lockscreen. TOPICS Create topics to offer some lists of interests and get your user base segmented on which lists they want to subscribe to. This way you can send specific notifications and messages. TWITTER Add any Twitter account to your application and display all tweets within your app. The links from the tweets are clickable. The info like following/followers and retweets are also available. 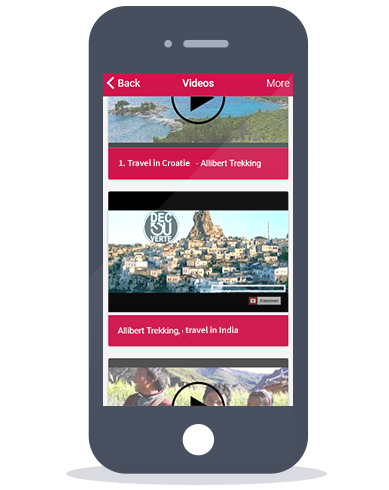 VIDEOS Add a touch of multimedia within your app. Integrate videos from Youtube, Vimeo and Podcasts. You can choose from integrating a complete channel from Youtube to a specific video from Vimeo. 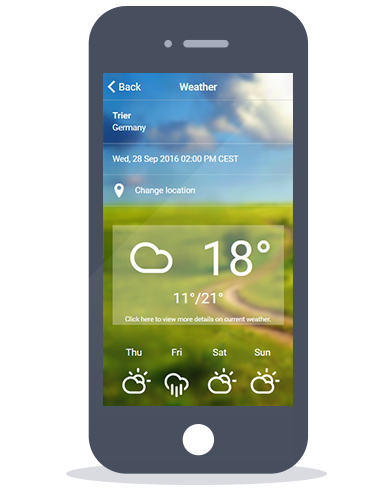 WEATHER A simple and pleasant feature for your users. Let them look for the weather in their city and by default display the current weather in a specific country or city.